To make the website even more user-friendly, we have carried out extensive research into the value of our website, from which we have made some key developments in response to your suggestions. We have taken all the feedback and developed the process to simplify it and make it more user friendly for all our customers to order online and manage their hire accounts with us. In addition to these developments, Truck and Track Mounts are now available to hire online. As well as being able to order online, customers can see real time information about invoices, statements, the hire contract, delivery and collection notes, damage and breakdown reports, along with PDI notes and LOLER certificates – at any time of the day or night, 365 days a year. We have also introduced a quick and simple off hire facility that provides immediate confirmation of the end of a hire. Our customers using the portal are finding the off hire facility really quick and easy to use, it’s fast, it’s simple and you get an off hire reference immediately. It is now possible to off hire any machine on the website, regardless of where you hired it. 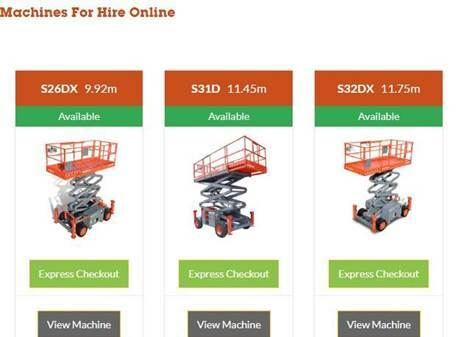 You can hire it directly from one of our depots for example, and then off hire it via the portal. Customers registering for the portal can decide on the level of access given to their employees using the system. We recommend that all users register as individuals to use the system. Contact your local Sales Representative to find out more about AFI Online and view a demo account. Alternatively call 03303 115 005 for help registering online. Our web portal AFI Online works in ‘real’ time and is available 24/7, 365 days a year at a click of a button.